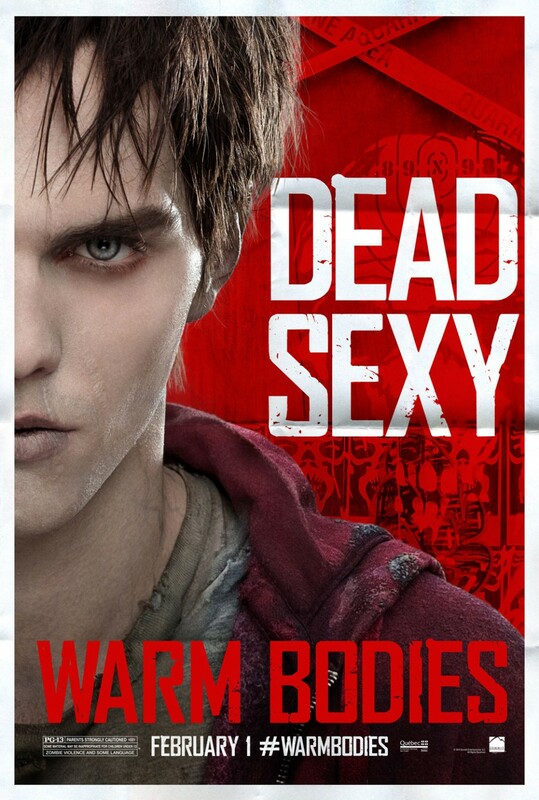 Starring: Nicholas Hoult, Teresa Palmer, Rob Corddry, John Malkovich, Analeigh Tipton, Dave Franco and Cory Hardrict. 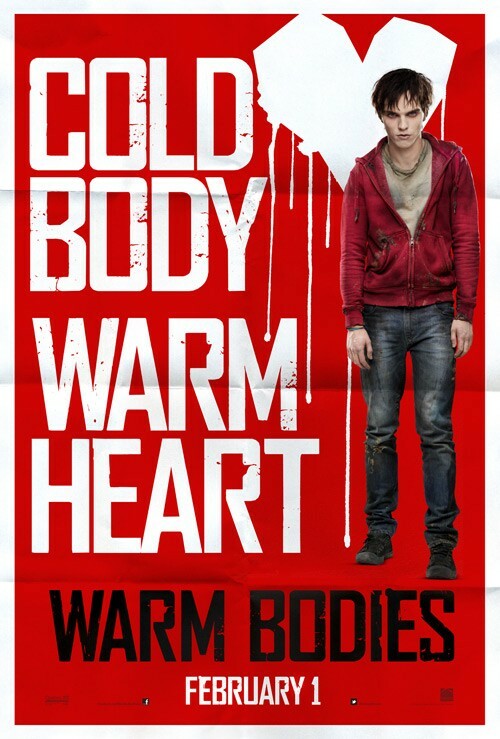 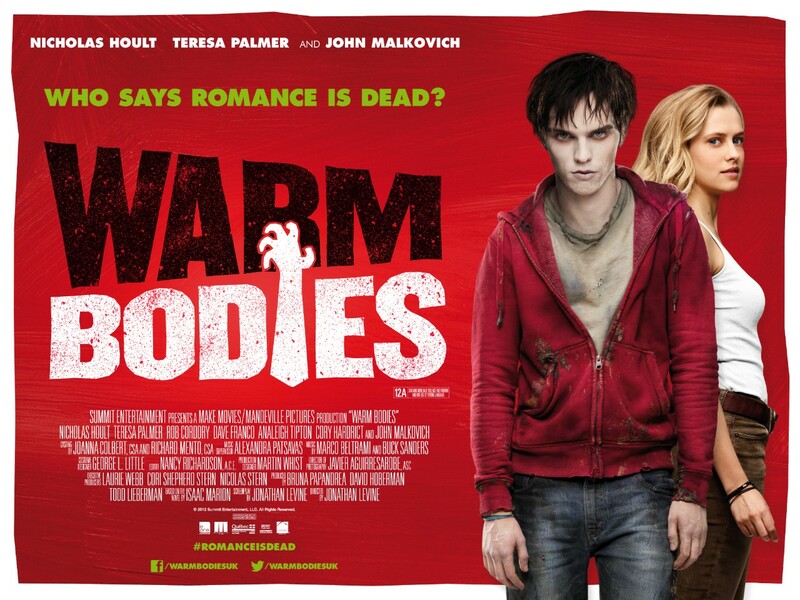 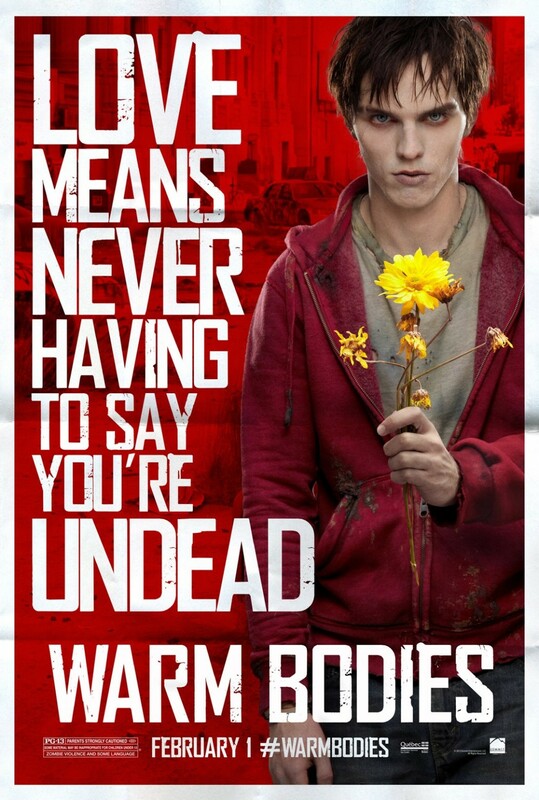 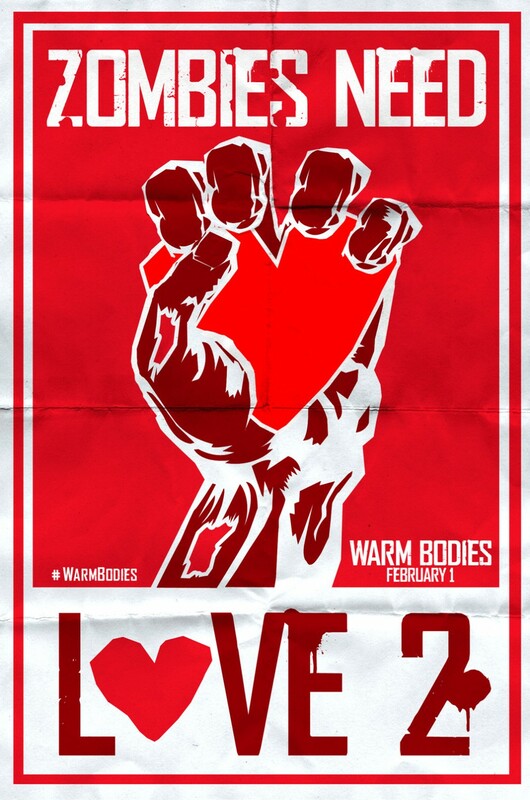 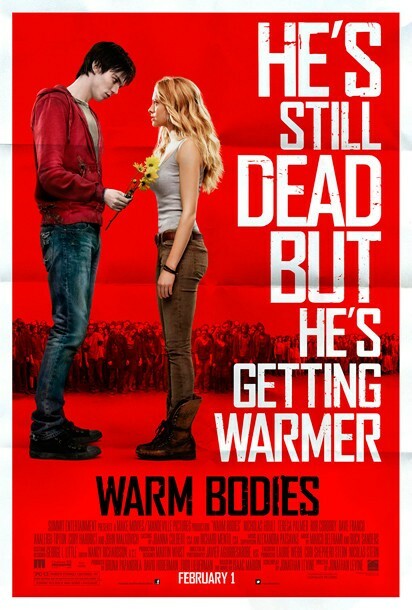 Synopsis: A funny new twist on a classic love story, “Warm Bodies” is a poignant tale about the power of human connection. 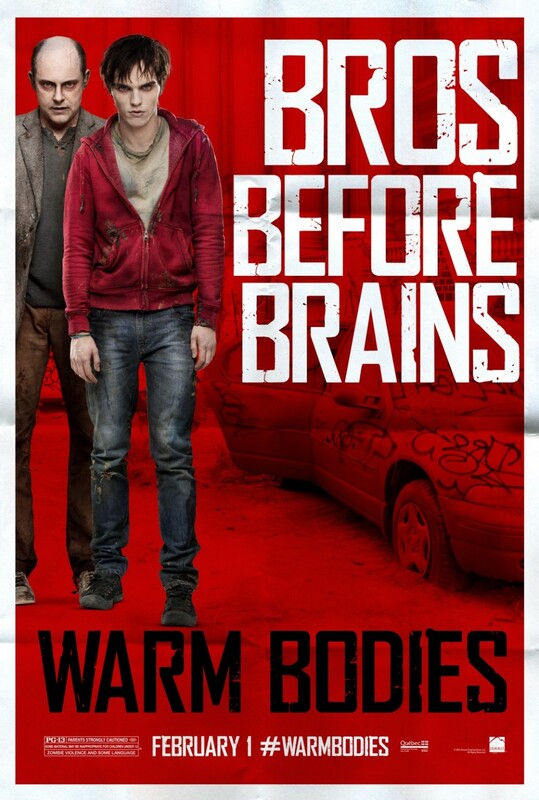 After a zombie epidemic, R (a highly unusual zombie) encounters Julie (a human survivor), and rescues her from a zombie attack. 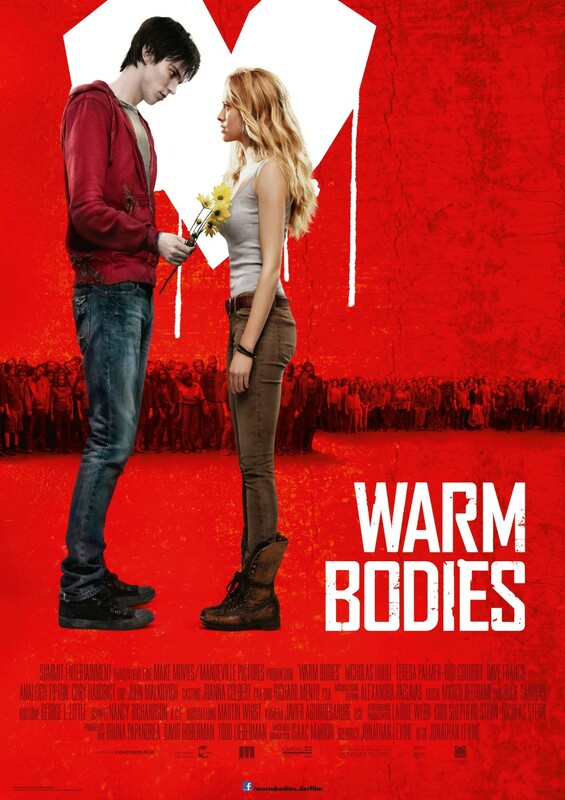 Julie sees that R is different from the other zombies, and as the two form a special relationship in their struggle for survival, R becomes increasingly more human – setting off an exciting, romantic, and often comical chain of events that begins to transform the other zombies and maybe even the whole lifeless world.